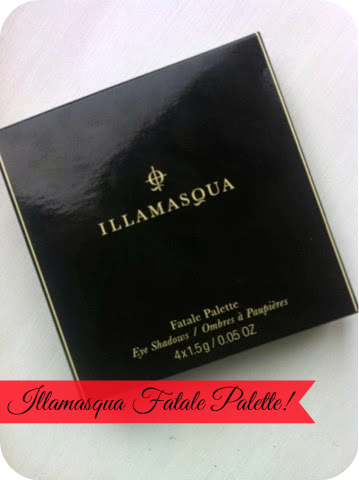 In my Gift Guide for Her - HERE, I said I'd do a review on the Illamasqua Fatale Palette! So here it is, Sorry my posts have been quite random recently and not very well finished, I'm going to be improving the past week's blog posts in the next day or two! 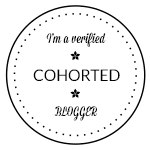 Just with starting a new job I've not had much time to do blogging! I was hoping to do a look with this palette to show you, but again with the new job I've not been able to, If you'd like to see one though just let me know in the comments below and I'll try to get one up! 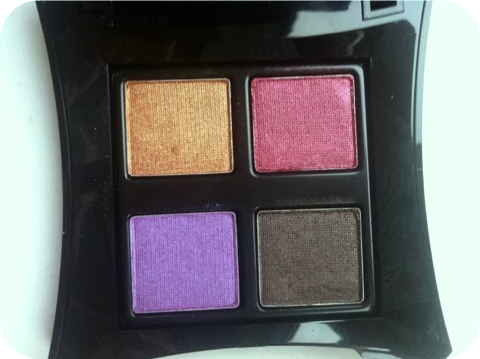 The Fatale Palette is part of the new Envy Christmas Range for 2013, Its very different to what Illamasqua have done before with palettes due to the finish of the shadows. They are rather shimmery which for past Illamasqua palettes the shadows have been almost like a cream or matte, not all four being shimmery. You cant help but love the Illamasqua Packaging! It comes in such a sturdy plastic case with a massive mirror! 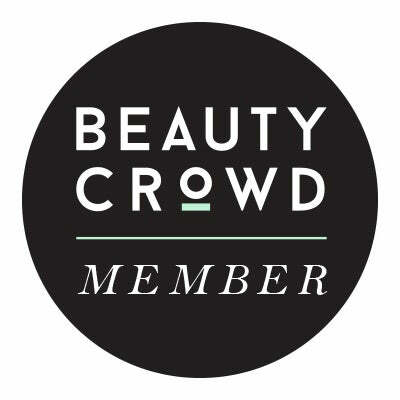 This is great for just over all touching up your make up on the go so it saves you having to carry a separate mirror! 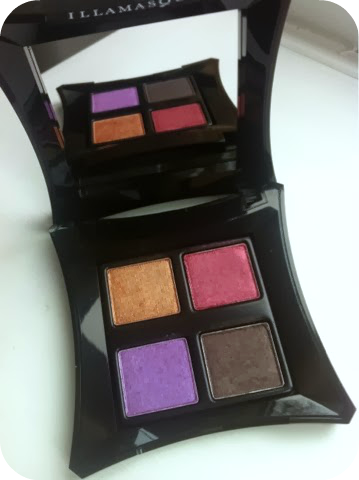 Even though the palette looks quite scary its also extremely wearable and great for this time of year. Both Bronx and Ensnare look great together for a gold and red Christmas eye, or Bronx and Charm together for a gold and purple one. 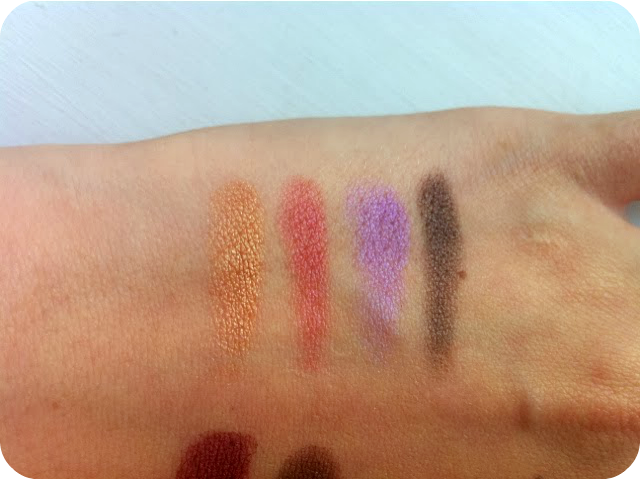 Plus the shade Bronx and Mystify look great for a smoky eye as well as Mystify and Ensnare together! There is so many combinations! This is definitely out of my neutral comfort zone but I really do love it! It's amazing how wearable it actually is, I can see me wearing it a lot over the next few weeks! It's insanely beautiful! I just want to go mad and put tons of it on haha!